Based in Greenock, Inverclyde AC is one of Scotland's top amateur sports clubs. 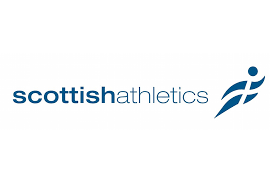 Established in the late 90s, we have wasted no time in overtaking many of our rivals to become a front runner in Scottish athletics. Such is the impression we have made, we have been awarded "Impact Club of the Year" by Scottish Athletics in recent years. You don't have to look far to see evidence of our success - with black and white vests regularly appearing on National Championship podiums throughout the year, especially on the track, cross country, road and hills! Although we love to show off the achievements of our fastest runners, we pride ourselves on being an inclusive and family-oriented club that caters for all ages and abilities. We have an award-winning junior development plan that has been in place for a number of years now, and the international success of many of our juniors over the last few seasons recognises how much care we take in the development of our youngsters. 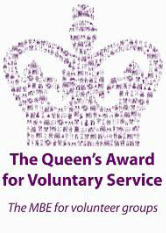 At the other end of the age-spectrum, we regularly have Veterans teams taking part in county, district and national competitions, and the number of athletes taking part in our local club races has been growing steadily in recent years. So no matter how fast or fit you think you are, we offer some of the best coaching in the country and our membership includes use of the recently relayed track at Ravenscraig and the strength and conditioning equipment in our clubhouse. And of course we're not all about the training. We all love to relax and have a bit of fun - just ask anyone in the club about the dancing coaches in zebra onesies at the 2015 Prizegiving! Inverclyde AC’s Adam Craig (pictured - photo by Bobby Gavin) wiped the field clean at the Scottish National Cross Country Championships as he became the latest national cross country champion from the club. Adam went into the race as one of the favourites for the title, but few saw the dominance that he would show over the 34 minutes of running. Adam would take the win by nearly a minute as he pulled away from the field in the early stages. His win helped the senior men return to the team medals as they finished third, only four points behind second-place Cambuslang. It would be the first time the senior men would sit on the podium since their gold in 2010. The team went into the race as one of the favourites for the team prize but suffered a blow the day before when one of the key members of the team, Andy Douglas, was ruled out by injury. With this the team faced a bigger challenge, but eventually would prevail. Sean Fontana and Craig Ruddy would make up the top twenty runners with Sean falling away on the last lap as Craig closed in, finishing a second behind. 20 seconds down the course came John Bell who, despite running for the past five years, took part in his first national cross country. There was a gap to the team’s fifth and sixth counters as Michael Houston and Mark Pollard completed the team, working together to finish as high up the field as possible, ending in 41st and 44th place. For John and Michael, it would be their first senior medals at Falkirk. Inverclyde made it seven runners inside the top 100 as David Tamburini placed 92nd and finished ninth in his final year in this age group. It could’ve been eight in double digits, but Pete Tucker would just miss out in 102nd place after a recent injury hampered his hard work over the season so far in the lead up to the race. Just behind him came Andrew Harkins and Al Myers. Andrew was 15th in the veteran 40 category on his way back to fitness, while Al ran the whole race hoping to overcome a recent shin injury, but the pain didn’t subside as he struggled to the end. Nicholas Gemmell would also place fifth, but in the vet 45 category. Julie Gordon would be the sole runner in the senior women’s race finishing 72nd and fifth in her age group, improving on her performance at the West District Championships in December. In the junior races, Dylan Crawford was the only under 20 representing due to injuries to his teammates and track commitments. In his opening year, he would finish 45th in a strong field of nearly 70 athletes. In the under 17 men’s race, Josh Law was first home for the club in 35th, followed by Ben Nichol less than a minute behind just outside the top 50. Inverclyde’s under 15 boys would finish 13th in the team competition with the quartet being led by Lewis Hainey in 54th, ten places ahead of Robert Gray. Jonathan Cameron and Nathan Harkins would make their national debuts to complete the team too. In the under 15 girls race, Abi Hammerman would have a solid display as she narrowly missed the top 20. Orla McGeehan would also feature in 82nd in a field of well over 100 runners. Keir Arthur would finish easily in the top half of the field in the biggest junior field of the day as he placed 76th with nearly 200 competing. With the winner of the biggest race of the day and his teammates securing team bronze too, Inverclyde could once again call the National Cross Country a success ahead of the road racing season. 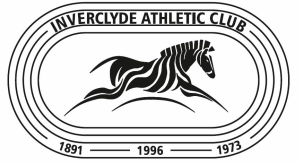 Inverclyde AC’s senior men would make history at the Renfrewshire Road Race Championships, becoming the first senior men’s team to complete a ‘treble treble’ with a victory on home turf at the Battery Park. The team of Sean Fontana, Craig Ruddy, Michael Houston, Mark Pollard, David Tamburini and Jon Hammerman would take team gold decisively, adding another gold at Renfrewshire championships, having won this race, the Renfrewshire Cross Country Championships and the Renfrewshire Cross Country Relays three years in a row. Sean would win in a solid run, 15 seconds ahead of guest runner Dougie Selman of Corstorphine. Craig, gearing up for a big half marathon prior to the National Cross Country, would finish fifth overall and second in the county. Michael Houston had an exceptional run, narrowly missing an individual Renfrewshire medal by eight seconds as he finished eighth, with Mark rounding off the top ten. David Tamburini and Jon Hammerman would be the final counters, finishing within a few seconds of each other in 16th and 17th. In the women’s race, Julie Gordon looked very competitive and near her best, finishing sixth overall. She would also finish second in her age group too, taking an individual silver. In the junior races, there continued to be success. In the under 17s, Josh Law had a real race on his hands in the top three, where all three runners vied for gold. As the end of the race came to a close, Josh was narrowly squeezed into third place, but will be happy enough with his run and bronze medal. In the under 15s, Abi Hammerman would finish fourth in the county, just outside the medals in an encouraging run ahead of nationals. Orla McGeehan would also have a strong showing, finishing tenth overall and eighth in Renfrewshire, keeping competitive with a number of runners around her. The under 15 boys would take team bronze thanks to the efforts of Robert Gray, Jonathan Cameron and Nathan Harkins. Robert took on a competitive field, finishing sixth, while Jonathan and Nathan would finish 12th and 14th respectively in the midfield. The under 13s saw both Millie Paton and Kate Seggie compete for the girls, finishing eighth and 13th while Keir Arthur placed 11th in the boys’ equivalent. Last but not least, the under 11s were victorious across the board. In the girls race, Iris Paterson stormed to victory, taking individual gold by seven seconds. Her teammates counting for the team included Lexie Bremner and her younger sister, Pearl Paterson. The two girls would finish only a few seconds between each other in 17th and 18th. Elsewhere Abigael McAnernay would make her first outing for the team finishing in 30th, ahead of Mirren Morrison in 32nd. With five girls in this race, the future looks bright for them. On the boys side, there were no individual medals, but there was a silver medal for the team as Oliver Wagstaff, Fraser McLaughlan and Aaron Harkins comfortably took second. Oliver would miss an individual bronze, finishing eight seconds away in fourth. Fraser beat Aaron in a sprint finish for sixth, with both of the boys less than ten seconds off Oliver. Oliver’s usually neck and neck with his brother Lucas, who had a rare off-day finishing in 12th. Still, he was less than 20 seconds off Oliver in the end. There were plenty more black and white vests in the race too as Ashton Fulton and Oliver Arthur would make the top 20. Oliver and Liam Kane would be two of five runners to clock the exact same time in a blanket finish. Next came the two Bens: Gerrard and Roxburgh in 37th and 39th again separated by only a few seconds. Slightly further down the field were also runs from Jake Reilly, Ethan Martin, Rory Munro and Kieran Martin with many of the boys (like the girls) taking part in their first road race for the club. With twelve runners in the race, it shows fantastic depth that will hopefully be retained as the boys progress through the age groups. Like most Renfrewshire championships, there was plenty to be happy about for Inverclyde athletes ahead of the National Cross Country Championships at the end of February. Despite the grim weather conditions, the runners braved the elements ahead of the end of the winter season.